All orders placed before 3:30 pm EST ship same day! Bulk or wholesale orders do not apply. We ship to a few countries outside of the 50 United States and Canada but ONLY if the order is made online. There is no free shipping internationally. If you have trouble with international online orders we apologize but are not able to take the order in that case. Additionally we are NOT responsible for issues with freight forwarders, customs, or shipping outside of the United States. It is always best to order products from within your own country. Fedex Ground/Home Delivery: Delivers on weekdays and Saturday to residences. They deliver to commercial addresses only on business days. Fedex Overnight: Does not deliver on Saturday or Sunday UNLESS Special Delivery is chosen. Must call us or leave a note in your order to add special Saturday delivery. There is an un up-charge per Fedex for special Saturday express delivery service. 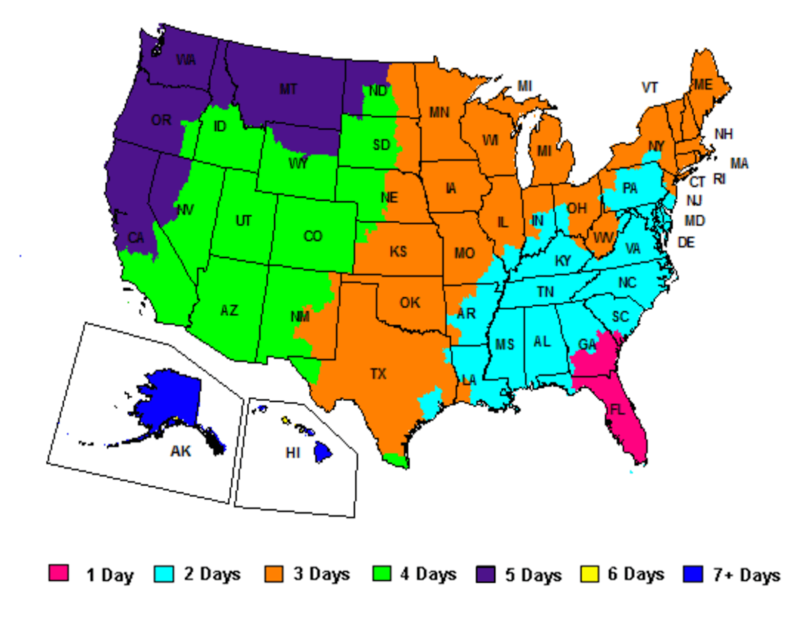 Visit Fedex.com for complete details on their delivery days.